You may not be equipped to get into some deeply intense SEO, because it could require some restructuring of your company’s website. There’s no harm in some surface level effort, though! There are several small things you can implement into the structuring of your site’s content that will boost your visibility on all the major search engines. Here is a quick overview of a few things you should know about the art of search engine optimization. If you don’t know your current level of visibility on the internet, then you’ll have to do a little bit of research on yourself before you begin rectifying any weak spots in your marketing campaign. There are tools available to help you to track your site’s rankings. The Google toolbar and Alexa will help you to track whether or not your efforts are making any difference in your traffic. You should also make sure you have some place set up on your site where your visitors can let you know how they found your page. That will help you decide where to go in the future with your SEO efforts. 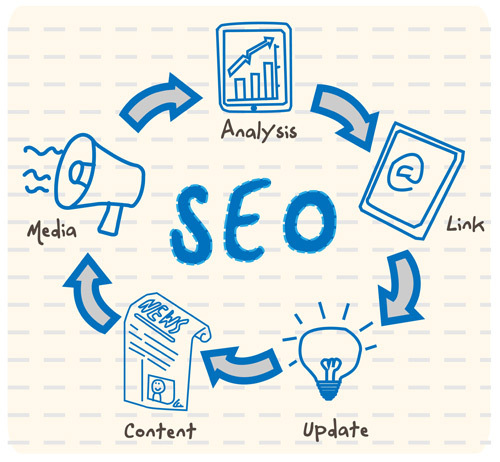 Search engine optimization is all about the use of proper wording to push your website up closer to the top of the page when a web crawler searches for something pertaining to your business. If you are an online college for medical assisting, you would want to make sure to use those keywords. The most simple explanation of what your page provides the user is basically what you’re looking to include in your website’s vernacular. Try to think like a consumer. How would you begin searching for your type of website? You should make sure to get involved with social media sites that are somewhat driven towards your business and it’s products or services. For example, if your site is focus upon visual arts maybe you should join Flickr or Instagram. These sites support a thriving community of all sorts of artists. If your business is driven more towards the provision of information, then you may want to get involved with Yahoo Answers or Ask.com. As a common ground rule, you should ALWAYS get involved with Facebook and Twitter, as they are used in numerous ways in society every day. They’re a gold mine for social marketing. Don’t just use one medium to provide information or availability to your followers. Build an email network, and send out a newsletter. Start a blog to compliment your website and your services. These things will keep you in touch with your customer base in the case that your search engine ratings plummet.